Everybody is welcome to join us as Resident Teacher, Gen Kelsang Dema, grants the empowerment of Prajnaparamita. Great Mother Prajanaparamita is the embodiment of the perfection of wisdom of all the buddhas, appearing at the heart of Buddha Shakyamuni. She is called "Great Mother" because liberation and enlightenment are born from the wisdom realizing ultimate truth. Her function is to bestow blessings which empower us to understand clearly and to directly realize all wisdoms, but in particular the wisdom that sees that all things that exist are merely empty; all things lack inherent existence, or self-existence; they do not exist as they appear to our mistaken perception. It is through realizing this emptiness of all phenomena, developed through meditation, that we can abandon the ignorance pervading our minds, the actual cause of all suffering, confusion and problems. How extremely fortunate we are to have this opportunity to receive this empowerment! Although the blessings of enlightened beings pervade the entire world, the ceremony and teachings of empowerment open our hearts to receive them in a special and particularly potent way. Everyone is welcome to attend this empowerment. No special experience or preparation is necessary. Everyone who receives this empowerment with a positive mind will benefit. Blessing empowerment ripens our “Buddha seed,” our own potential to transform ourselves from a mundane state to the ultimate state of enlightenment. Our Resident Teacher, Gen Kelsang Dema, will guide us through the ceremony, teachings and meditations of the empowerment. We just relax and enjoy! 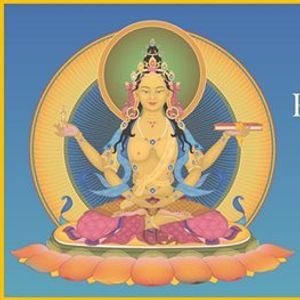 Later in the day and Sunday morning we will receive guidance that will help us to maintain a special connection to Prajnaparamita by following special meditation practices.